"Source of Life" Mini-Tabs are perfect for anyone who doesn't like to swallow pills. 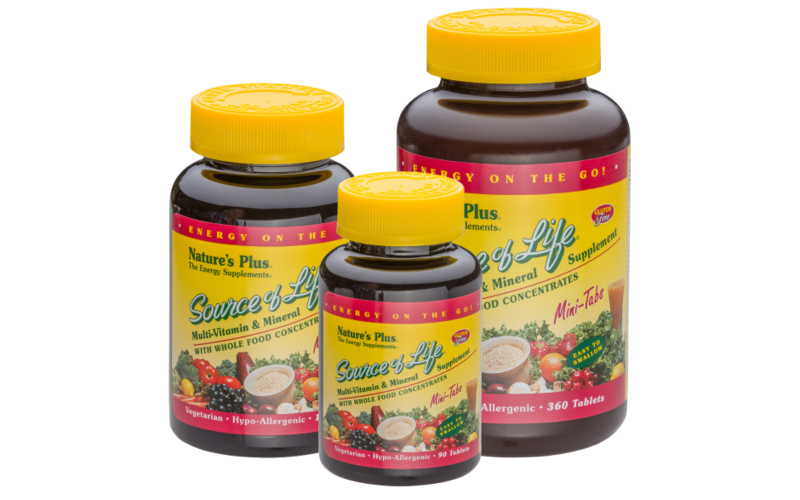 Supplements with whole food multivitamins. All vitamins, minerals and nutrients with whole food concentrates are derived from the original food. Vegetarian, yeast-, wheat-, corn-, soy-, and milk-free. 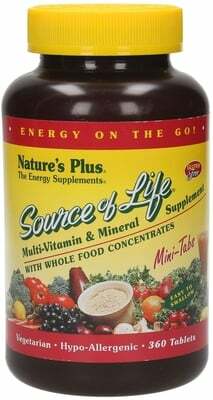 Take 6 mini tablets once daily with a meal. KAL Chrom Picolinate 200 mcg "ActivMelt"